Every year as we look ahead, we like to take a quick inventory of what we’ve witnessed emerging from the experimental to the established and see where we think drink trends are headed. We peered into our crystal glasses to bring you a quick take on some of our favorite libations across the spectrum. We lift a glass to 2018! It has to be a better year than this one! New Cycles Gladiator "Pinot in a Can"
Nerello Mascalese this vibrant light high acid Italian red wine is the darling of the hipster wine set. Sicilian wines in general are all the rage with sommeliers in urban markets and the versatility, high acidity and balanced profile sync perfectly with modern palates and a variety of cuisine. Australian Semillon. What's old is new again. The best from Hunter Valley in particular, provide some of the most intriguing age-able white wines. Known for their intense acidity and intriguing secondary flavors as they age, the affordability factor for wines that are 10+ years and still vibrant are an industry secret we're hesitant to share broadly for fear of losing ground to those who are more peripatetic in their tastes. Low Oak wines continue to appeal...not to say gone are the days of buttery, oak fruit bombs particularly in Chardonnay, but as go healthy eating trends go lighter profiles of popular white wines. Shedding their baby fat of oak, high alcohol and over extraction, many white wines, the Queen of which is Chardonnay, are "leaning out" and matching many evolving consumer taste preferences. Pinot Noir still has it going on. The grape variety that shot to fame with the film Sideways in 2004 is still a darling among wine lovers, however, as consumers become more sophisticated in their wine knowledge, they demand more unique and specific expressions of their favorite grape. 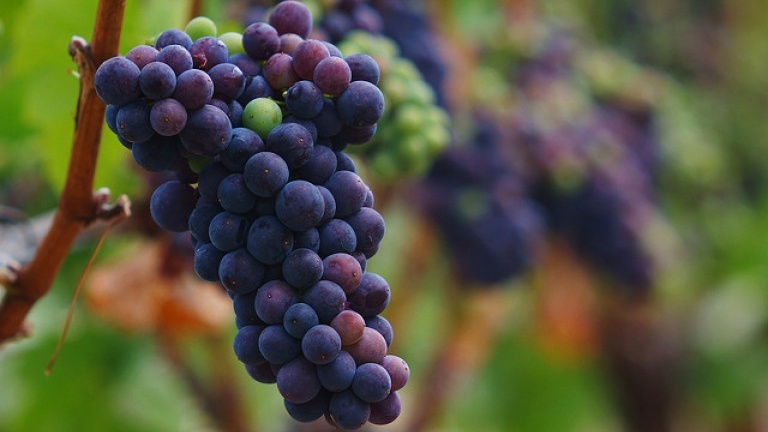 Like it or not, climate change has influenced emerging growing regions for Pinot Noir, look for more interesting offerings coming out of Chile, Germany, New Zealand among other parts of the world. Alternative fermenting vessels for making wine - the oak barrel will always be the king of fermenting vessels but the wine world has been embracing and experimenting with alternative fermenting and aging containers for some time. Concrete eggs are more and more prevalent for the fermentation of whites and light reds, allowing for more skin contact and the ensuing complexity. Amphorae continue to be used as well as diverse barrel sizes and shapes which impart different flavors and aromas to the wines that come in contact with their various shapes and materials. The Spritz - Be it a Negroni Sbagliato an Aperol spritz or hell, maybe even a Rosé Aperol Spritz. The American palate is thankfully (IMO) following suit of our Italian friends when it comes to the aperitif. The popularity of the spritz falls nicely in line with the cash rich, time poor trend plaguing working professionals looking for an easy - albeit classy - way to wind down. Furthermore, it’s making the aspirational “La Dolce Vita” quest far more tangible at least in liquid form. Amaro (commonly Bitters) takes flight! Joining the usual Amaro players are small batch, regional (and yes, American) Amari (Amaro, plural) that are also getting rather exciting. 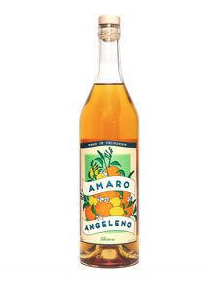 For those really involved, Vintage Amaro is certainly a thing as well as we have foragers and finders looking for Amaro circa 1950-1990. In Italy, Amaro carts are rising in popularity for those table side Amari flights. Don’t call us Bitter for loving the category. From Frose and beyond - Most of us admittedly rose’d all day in 2017 and frankly, some of us have been since the late 90s. And, at least for some, we frose’d at least once this summer. No shame! Frozen drinks are on the move whether we like it or not. Slushy sips that are best enjoyed poolside will continue to gain momentum (with the frose possibly playing more of a supporting role in 2018). Taking a cue from our entry on The Spritz, a Negroni Slushy and the Chartreuse slushie at The Morris in San Francisco are sure to have their time in the limelight in 2018. The sober scene: functional drinks! Think delicious beverages with nutritional and physical and emotional benefits in one. Charcoal has been an age old filterer of all things bad from the body. Now in addition to your activated charcoal tablets which help detox the organs, you can now imbibe it in a number of pleasing ways. Think Charcoal infused water and other concoctions: Sparkling Charcoal. Charcoal-flavored Kombucha. Charcoal and lavender tea. And on and on and on. As we head into 2018 this nutritious lifestyle-centric trend is sure to be taken up a notch. Just as we experienced Kombucha on tap this year, in 2018 the sky’s the limit when it comes to on-tap, accessible and functional non-alcoholic, health-driven drinks. Flavor behavior! 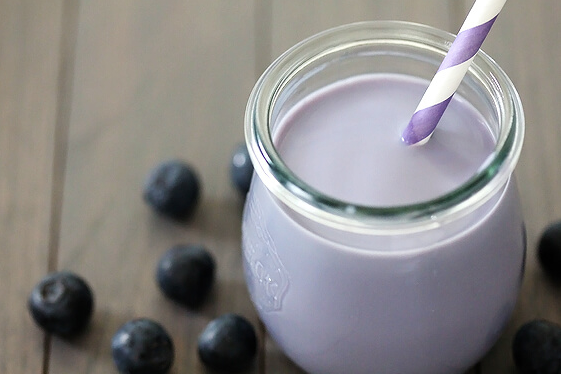 Blueberry Milk will soon be available in grocery stores. By now all sorts of dairy free alternatives are engrained within the American vernacular - Soy Milk, Coconut Milk, Almond Milk. So is the rising popularity of Blueberry milk actually all that surprising? With that said, what may be surprising is that Blueberry milk is not dairy free, but it’s simply flavored milk. Think the strawberry and vanilla milk from our youth. This insight comes to us from our so Cal gal Kelly Lawrence who is currently daydreaming of what a blueberry milk latte (and all the accompanying latte art) will be like. Stop and smell the roses - Edible petals have always made dishes look spectacular and our Instagram famous friends are longtime fans. But look for botanics (whole flowers, petals) to play an even bigger role in nonalcoholic drinks in 2018. Think rose-flavored everything. Bright pink hibiscus teas. Lavender lattes. And perhaps the newest player- elderflower. Personalization - we can’t herald in 2018 without acknowledging the role that tech plays in our daily lives. The move towards personalization in all aspects of our life is sure to touch the beverages to which we imbibe. The dawn of this new era is a result of tech making shopping as easy, thoughtless and seamless as possible. Consequently, this will inevitably form more bespoke connections with customers. And with that, a new generation of customized recommendations and unique pairings are being forged within the beverage culture. Cheers!